Most people overlook parking lot striping, assuming these stripes remain in place without maintenance or attention of any sort. 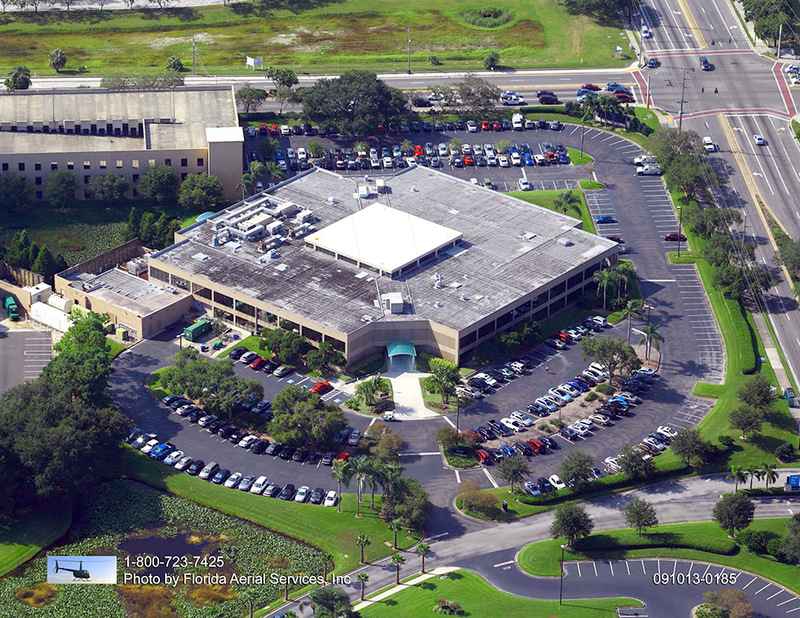 In reality, parking lot striping in Naples is quite important. Striping enhances parking lot aesthetics as well as safety. As time progresses, parking lot striping gradually fades, prompting the need for ACPLM maintenance. 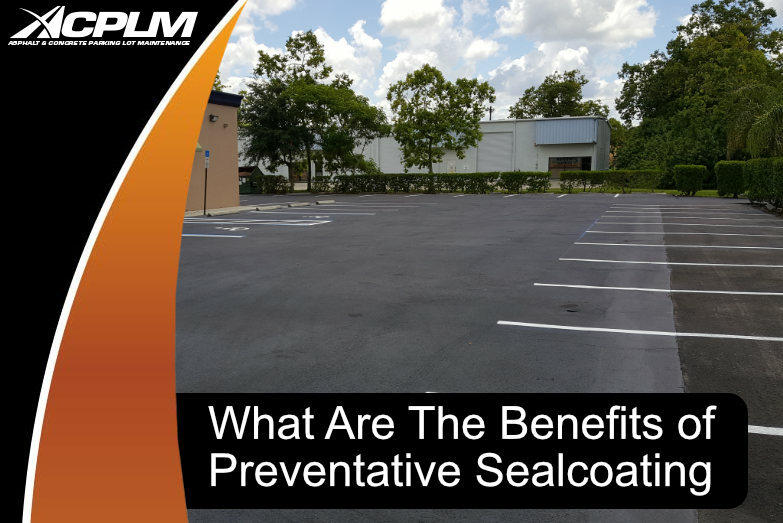 The application of striping atop asphalt or sealer necessitates the use of a waterborne coating. 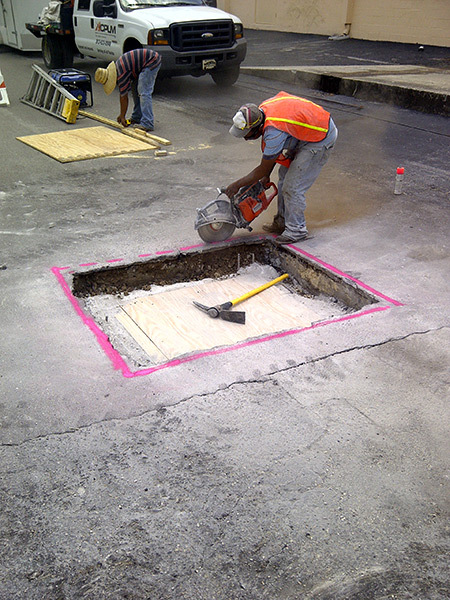 Striping placed on concrete substrate requires a chlorinated rubber paint in order for it to adhere. In general, re-striping is best performed with the set-fast style of acrylic waterborne paint. 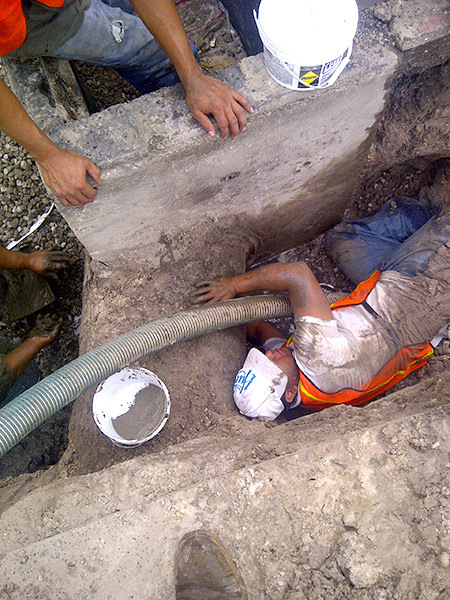 Lean on ACPLM for this project. 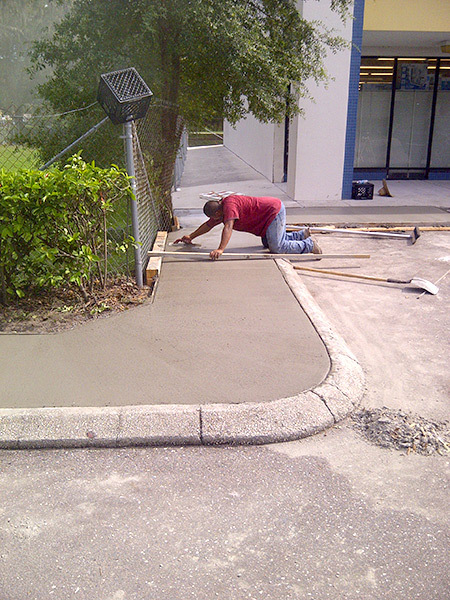 We have the specialized equipment necessary to add parking lot striping in Naples in a flawless manner. Our team has access to airless striping machines. We know the exact minimum of wet film thickness required to create markings of the highest quality. 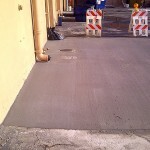 We go the extra distance by applying two full coats as it is a given that some paint will leak into the pavement. It usually takes about half an hour for the paint to dry. We recommend keeping traffic off the lot for a minimum of an hour. ACPLM usually re-stripes client parking lots every couple of years. However, there are some instances in which the remaining coating has diminished before two years pass. Fading occurs when there is an abundance of traffic, excessive sun exposure, and inclement weather. 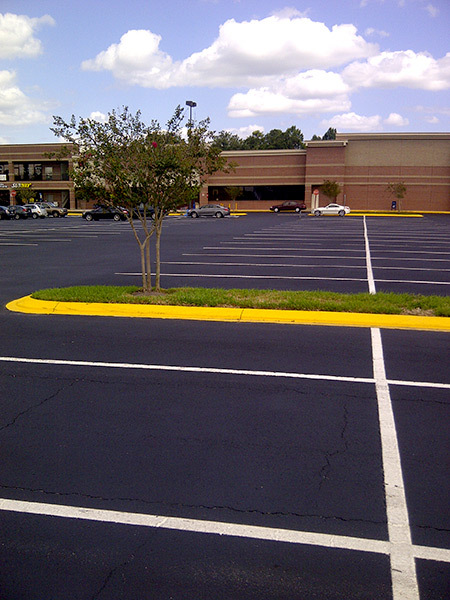 If your parking lot striping in Naples is no longer clear, contact us for re-striping. 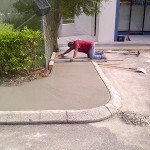 Plenty of business owners opt for parking lot striping in Naples to boost the look of their property. Clearly, visible parking lot lines improve customer perception of the business. This is an affordable and quick means of enhancing your property’s appearance to potential customers, current customers, prospective business partners and others. 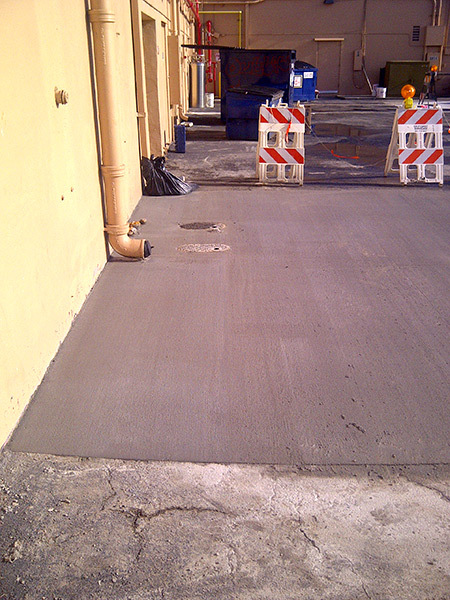 A parking lot with fresh striping applied by ACPLM will prove to be well-organized and easy to navigate. These lines help customers, residents, and visitors of all varieties figure out where, exactly, they are supposed to be driving. Fresh parking lot striping in Naples also clearly designates parking spots, making it easy for people to park their vehicles in the most efficient manner possible. New striping designates spaces where pedestrians are meant to walk, signify the right of way, show vehicle operators where to stop and help pedestrians/drivers avoid specific areas. Faded lines that are difficult to see do the exact opposite. They create confusion and lead to accidents that might render you vulnerable in a legal context. 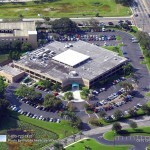 ACPLM are experts in parking lot striping in the Naples area. 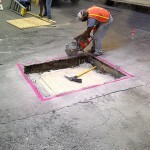 It is a service that gets overlooked but is just as important to parking lot maintenance as any other asphalt or paving services. 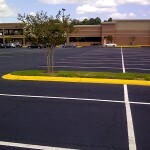 If you have a parking lot that needs new striping, contact the experts at ACPLM today.